Mumbai : India, one of the world’s biggest consumers of antibiotics, has issued new national guidelines on their use as part of a drive to fight the rise of drug-resistant super bugs. Super bugs are seen as a growing threat to modern medicine, with the emergence in the past year of infections resistant to even last-resort antibiotics. In India, antibiotic-resistant neonatal infections claim the lives of 60,000 newborn babies each year, according to the Review on Antimicrobial Resistance paper published in 2016. 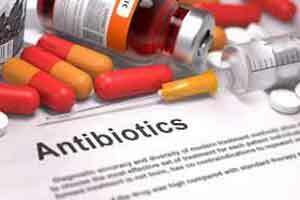 Issued by India’s central medical research body the Indian Council of Medical Research (ICMR) the guidelines giving directions on antibiotic use, dosage and duration of treatment have been sent to 20 hospitals so far, officials said. “The idea of issuing these guidelines is to bring about a change in the way antibiotics are prescribed,” Kamini Walia, deputy director of ICMR, told the Thomson Reuters Foundation on Tuesday. “Doctors’ education on antibiotic use has so far been limited to what medical representatives of pharmaceutical companies told them. Some hospitals have prescription guidelines, but most don’t,” Walia added. The advisory, put together by leading medical experts from across the country, will be revised and reissued once feedback from hospitals starts coming in, officials said. In the last few years, hospitals in India have recorded infections resistant to last-resort carbapenems and colistin antibiotics in their intensive care units. The threat of drug-resistant superbugs has prompted the authorities to issue public awareness messages on state-run radio channels cautioning patients against taking antibiotics without a prescription. Many hospitals have also taken part in a programme to control infections. India has had a policy to tackle resistance to antibiotics since 2011 but many hospitals, nursing homes and family doctors continue to over-prescribe antibiotics, fuelling drug resistant infections, medical experts say. Last month, drug authorities issued a warning to pharmacies against the sale of antibiotics without a prescription after an American woman who had travelled to India died of a rare superbug, according to media reports.